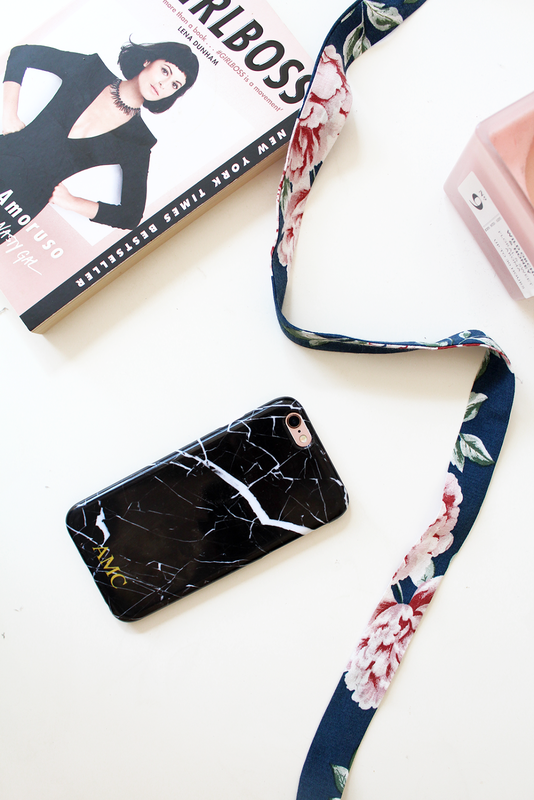 PERSONALISE YOUR PHONE CASE WITH GOCOSTUMIZED | RAWR BOWS. If you've been following me for a while, you should probably know by now that I have a bit of an obsession with phone cases. I think it's because when I get a new phone case for my phone it kind of feels like I'm getting a new phone, so it's exciting. When gocustomized.co.uk got in touch with me to collab I was obviously like YES YES YES. They offer personalised phone cases (not only iPhones, because some companies seem to believe that everyone owns an iPhone) and also tablets. I immediately went to their website and started brainstorming ideas. They allow you to either choose one of the designs they have or to create your own - needless to say I decided to create my own. My initial idea was to create a transparent case with a hexagonal design, kind of like a hive, but I was defeated by Photoshop. Buuuut, I am still very happy with my final design. 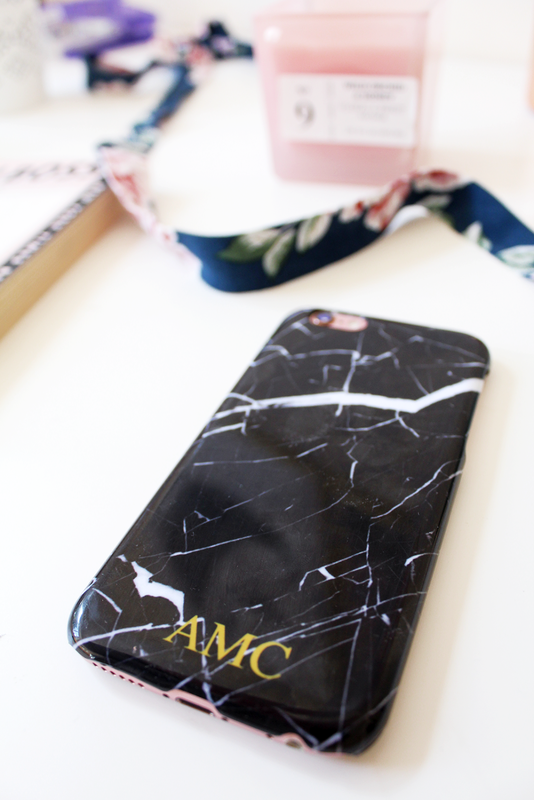 As the basic white girl that I am, I got a marble phone case (that matches my laptop skin, how cute) with my initials to make it more personal and special. Ideally I would have loved my initials to be glittery or metallic, but that wasn't possible. Their cases are only £13.99 and you can choose if you want it clear, black or white. Their shipping is super fast and the quality of the case is really good for the price too. It's glossy (and they don't offer a matte option) but I personally don't mind my cases having a glossy finish. The image quality is not perfect but that's most likely because of the image I used, so make sure you use a high quality image! Overall, I am really happy with my case and I've been using it every day ever since I got it. I love how it turned out; and I love that it has my initials on it as it makes it unique and special unlike any other phone case you can get on the high street!